Join the Washington Evaluators for our upcoming brown bag! Bruce Hemmer will present "Evaluation of Conflict Interventions: Challenges and Solutions" on Thursday, May 8, 2014 from 12 - 1 pm in George Washington University's Marvin Center. Conflict environments tend to combine danger, urgency, fluidity and other complex challenges. Interventions frequently evolve as conflict dynamics change and may involve multiple simultaneous approaches. As a result, means for collecting information and conducting analysis are at times limited and tenuous. Evaluation in these contexts must contend with complex, fluid operations that are significantly different from initial plans, in environments where data is scarce and unreliable. Strategic impact tends to be joint across many actors in the mid to long term, complicating causal analysis. The challenges of evaluating interventions in conflict environments can be met in several ways. Preparing staff and institutions for operating in conflict zones reduces the risks of operating on the ground. Basing evaluation in locally-driven conflict analysis can minimize danger to evaluators, respondents, beneficiaries and partners, and thereby also improve data collection and analysis. Remote or passive techniques of collecting data can be used to reduce danger, though with costs to data quality. It also can be helpful to measure robust baselines in anticipation of fluidity when resources permit, and engage in real-time or interim evaluation that allows us to quickly diagnose problems and agilely apply solutions midstream. Taking a process-tracing approach to evaluation rather than rigid experimental or quasi-experimental approaches gives evaluators the flexibility, speed and diagnostic capability to cope with fluid, urgent and difficult conflict interventions. Engaging in evaluation throughout an engagement also provides more time for developing diverse local evaluation capacity that sustainably continues evaluating longer-term strategic impact and helps local partners to continue improving their efforts through ongoing evaluation. 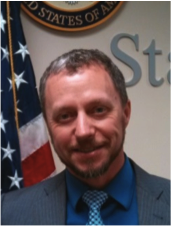 Bruce Hemmer, PhD is a Research Analyst in the Office of Learning and Training of the Bureau for Conflict and Stabilization Operations (CSO) at the US Department of State. He has worked for this bureau or its predecessor, the Office of the Coordinator for Reconstruction and Stabilization, since May 2010. He supports CSO engagement teams on methods for conflict assessment and program monitoring, theories of change development, and topical research. He also plans and manages or conducts evaluations. Bruce completed his PhD in Political Science at the University of California, Irvine in 2009, specializing in the civic and cultural aspects of democratization and peacebuilding and conducting field research in Bosnia and Northern Ireland. He previously earned a MA in International Relations at Syracuse University. Prior to joining the State Department, he worked in peacebuilding and democratization in Bosnia and Herzegovina, Kosovo and Ethiopia with IGOs and NGOs including the Organization for Security and Cooperation in Europe (OSCE) and the Carter Center.